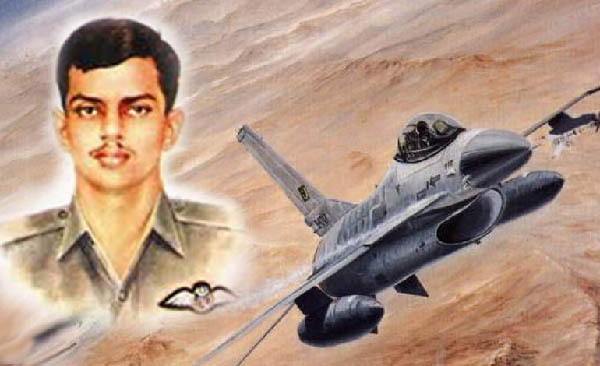 ISLAMABAD Aug 20: (APP): Today is marked with 45th death anniversary of Pilot Officer Rashid Minhas, who was not only the youngest man to get Nishan-e-Haider but the shortest serving officer too. The Pakistan Air Force base at Kamra has been renamed in his honour. In Karachi, he was honoured by the naming of a main street Rashid Minhas Road after him. On 20th August 1971, when he was getting ready to take off in a T-33 trainer in Karachi when Instructor pilot Flight Lieutenant Matiur Rahman forced his way into the rear cockpit, seized control of the aircraft and took off. In mid-air Matiur Rahman knocked Minhas out with the intention of defecting to India. In mid-flight Minhas regained consciousness and realized that his plane was being hijacked. He desperately tried to communicate to the PAF Masroor Base at 11:30 AM about his hijacking by Matiur Rahman. After a tussle between the two pilots, utimately the plane crashed. Rashid Minhas Shaheed foiled enemy designs to get Pakistan Airforce plane to be hijacked to Indian territory. The plane was found later, 32 km away from Indian border. He joined air force on 13th March 1971 and was commissioned in the 51st GD (P) Course. Once during his training sessions at the Kamra Airbase he was in a test flight when his T-33 started leaking oil and he was instructed to eject and save himself but Minhas decided that he would not let the plane crash and then very carefully he managed to land the plane back on the airbase.